Ax-les-Thermes is a true gem of the Pyrenees - a place to explore beauty, culture and adventure throughout the year. Named for the thermal qualities of the local sulphurous spa waters, such as 'Bassin des Ladres', the area has long been a destination for those with a mind to enjoy health benefits beyond those afforded by sporting activity alone. In fact, for over 700 years this has been a reason to visit Ax-les-Thermes, with the more recent addition of over 90km of managed ski slopes making it equally attractive to the modern day adventurer. Whatever it is that you are looking for - to live in Ax-les-Thermes or just to visit for the ski season - it is definitely a destination for the discerning. For days of gentle leisure, the town itself offers distractions both old and new. A pretty town, it has a trail that takes you on a journey through its history, architecture, streets and fountains. A local casino offers 21st century diversions following such exploration. Relaxing for the day in one of the spa retreats, with temperatures that can reach over 70 degrees Celsius, is an experience to be remembered - the waters themselves are a good reason to visit the area, no matter what your plans are. A short drive away is the equally attractive Parc d'Orlu, set in stunning landscapes and offering the chance to see wolves in something close to their natural habitat, with the chance to feed them available too. Having exhausted the natural attractions, or perhaps for a rest from an overload of the senses, there are always the historical sites to visit, such as Le Chateau de Lordat with its reputation for resident eagles, or the stunning Montsegur Castle perched menacingly above the village of the same name. Surrounded by wildlife parks it would be easy to forget that Ax-les-Thermes is a 21st century resort with modern facilities. 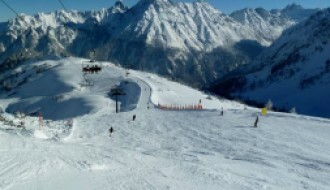 Chalets, apartments and gites are available all year round, and with snow parks, restaurants and easily accessed evening entertainment, this beautiful area becomes an increasingly attractive proposition. 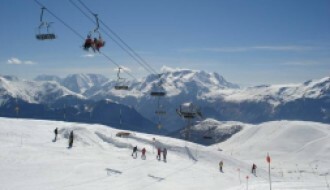 With snow on the slopes and clear skies, the winter season (which usually runs from December through to April) provides only one aspect of life in Ax-les-Thermes. When the weather does not allow for skiing and further diversions are needed from the beauty of the mountains, there is only a two hour drive to the coastal regions of Southern France and Spain. 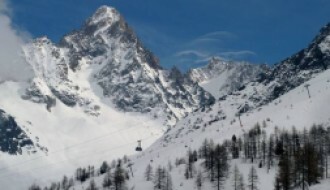 In 2018/2019, snow levels reached 260cm. 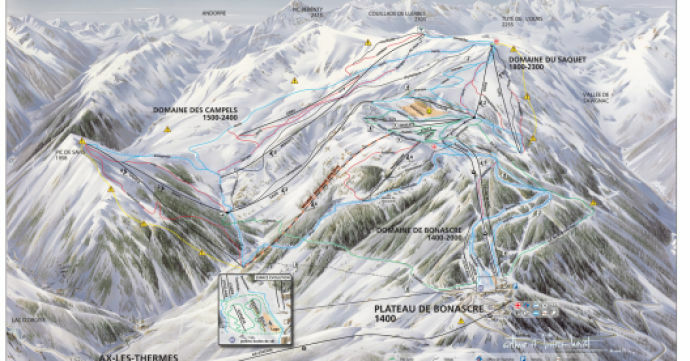 For updated snow and weather reports, take a look at our Ax-les-Thermes resort guide here. Heading south brings Barcelona into easy reach with its beautiful coastline, whilst east finds Perpignan and its 'Castle of the Kings of Majorca' and Cathedral. It is easy to see why so many people view investment or holidays in Ax-les-Thermes as an opportunity for making lifestyle choices on a day to day basis. Snow covered slopes that stretch from altitudes of 1400 metres to 2400 metres offer everything from family-friendly skiing to off-piste challenges for the more experienced winter athlete and overlook the town and its permanent population of less than 2,000. Well served by lifts and chairs, which have been heavily invested in over the last 15 years, the Ax 3 Domaines resort provides opportunities for paragliding, winter mountain-biking and cross country ski adventures in addition to its more traditional downhill slopes. Snow cannons ensure that the quality of the experience remains constant for predictable skiing. When the main ski season is over there is still much to attract visitors to this family-friendly destination. The mountainous surroundings are irresistible to the naturally curious with a sense of adventure, offering any number of opportunities for exploration. Whether checking out the mountains with a map and friends, or one of the available guides, visitors will be rewarded with memories and beautiful pictures firmly printed on the mind or ready for upload to a computer. With waterfalls, lakes, forest trails and mountain scrambles all within easy striking distance, there is no shortage of experiences to be had. If you're looking for investment opportunities in Ax-les-Thermes or taking the plunge and buying property in Ax-les-Thermes, it has much to offer for both now and the future. If you get the timing of a visit just right, there is also the possibility of being a spectator on one of the stages of the 'Tour de France' race. Situated fairly equal distances away from the airports at Toulouse and Carcassone, there is a drive of around 1 hour 30 minutes to reach Ax-les-Thermes. With direct rail links overnight from Paris, Ax is readily accessible from both within France and further afield. Once settled in Ax, the local rail network facilitates further exploration for those who prefer to sit back and let others take care of the driving.